Hans Abrahamsen’s musical language – full of echoes and memories – fascinates and captivates the listener. His music is celebrated on the big concert stages of the world. The Berlin Philharmonic, the Toronto Symphony Orchestra, the Symphonieorchester of Bavarian Radio, the City of Birmingham Symphony Orchestra, conductors like Andris Nelsons and Kent Nagano perform compositions by him in their programmes. With 'Schnee' in 2009 the collaboration with Winter&Winter started, 'Walden/Wald' followed. The long-awaited third album 'Zählen und Erzählen' (Counting and Recounting) is now released. Hans Abrahamsen’s music opens up to the listener in a completely approachable style. His compositional skills and orchestration are exceptional and exquisite and they are able (as the Frankfurter Allgemeine points out) to grip, even move a larger audience. Three pieces can be heard on 'Zählen und Erzählen', which form a unit: 4 Pieces for Orchestra, Concerto for Piano and Orchestra and 10 Studies. The piano concerto, the album’s centerpiece (Tamara Stefanovich, piano, with the WDR Sinfonieorchester Köln under Jonathan Stockhammer), was written a few years ago after a long creative break. The musical source of the piano concerto, as well as of the 4 Pieces, are the 10 Studies for Piano from the years 1983/1998. Abrahamsen dedicates this programme to his most important instrument, the piano, thus expressing his constant commitment to the German Romantic repertoire. 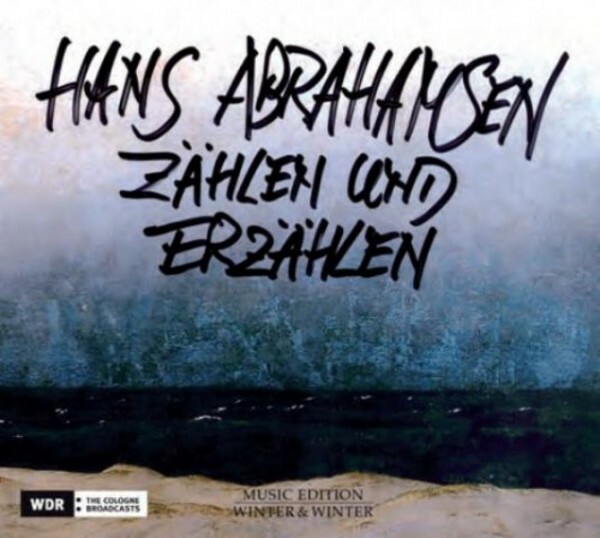 Hans Abrahamsen creates music which speaks from the depths of the soul.